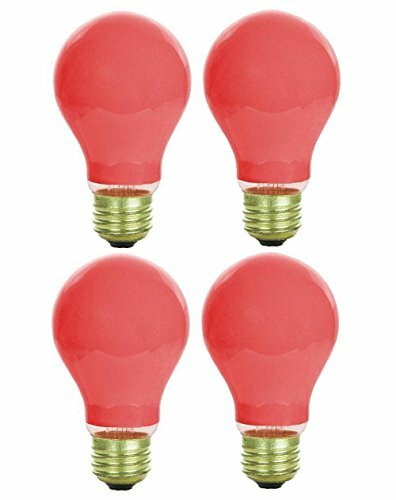 4 Pack 25 Watt A19 Colored Ceramic Red Incandescent Medium Base Party Light Bulb by Sterl Lighting at Knights Of Labor. Hurry! Limited time offer. Offer valid only while supplies last. Sterl Lighting colored incandescent A19 light bulbs are the perfect classic Edison styled source of light for any interior, included one's home. Sterl Lighting colored incandescent A19 light bulbs are the perfect classic Edison styled source of light for any interior, included one's home. Producing a comfortable flicker free ray of light without the use of any hazardous chemicals and perfectly suited for holiday and seasonal decorations.